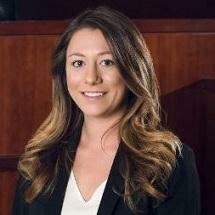 Ayda I. Suberoglu is a 2017 law school graduate who recently joined Subin Associates. Ayda was the Notes Editor of the Hofstra Law Review, an intern in the Hofstra Law Community and Economic Development Clinic and a research assistant for Professor Norman Silber. Her dedication to her profession and her commitment to helping others make her a great fit at Subin Associates.